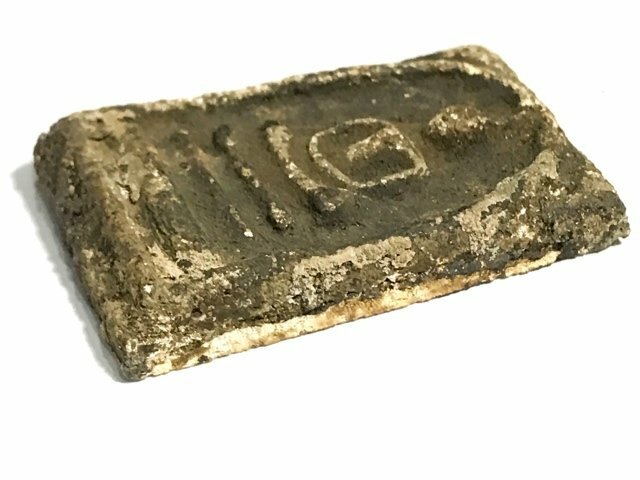 The Now Highly Preferred & accepted classic, Pra Somdej Wat Rakang Banju Kru Wat Kanlayanamit Pim Yai Jarod Sum, Pim Chang Luang Wijarn votive tablet of Somdej Dto, from the Wat Kanlayanamit Hiding Place Find. 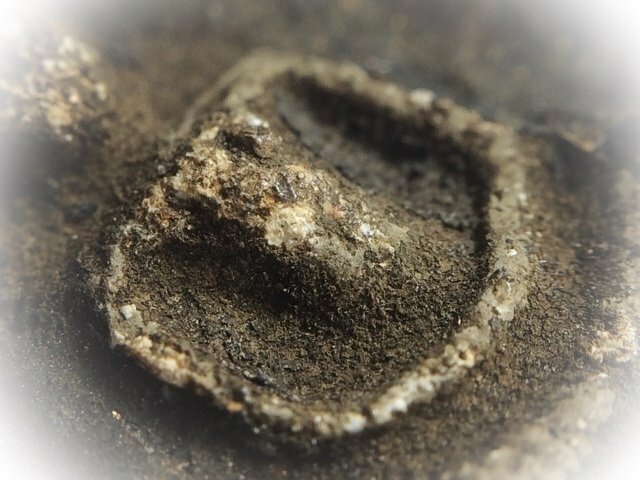 Pra Somdej Kru Wat Kanlayanamit amulets can be found in both cleaned and uncleaned (of Kraap Kru Residues) versions, according to preference. 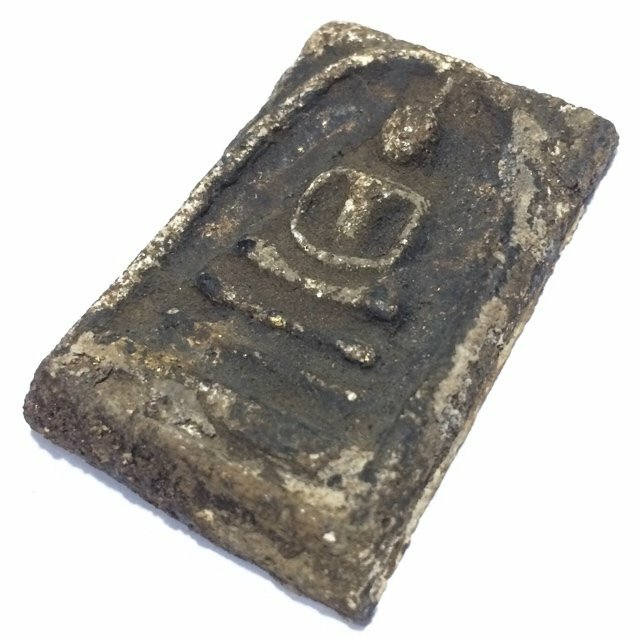 If uncleaned, is called 'Mai Lang' and if the amulet has been cleaned, is called 'Laang Laew', or Partially Cleaned 'Laang Bang Suan'. 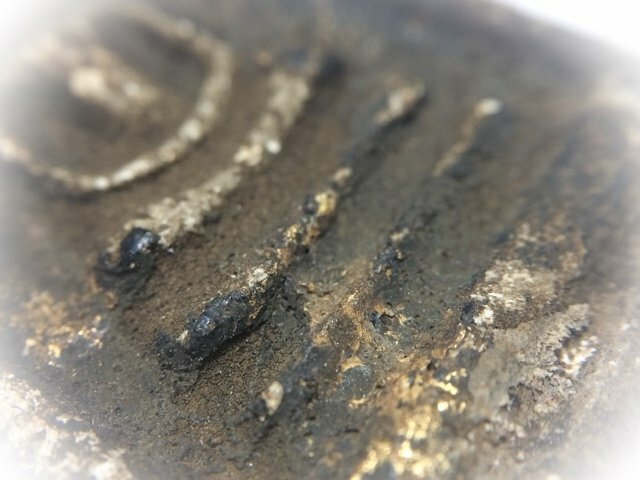 This exhibit is 'Nuea Jad Jaan' dry granular surface texture, with the ubiquitous lacquer and gold leaf visible through the Kraap Kru residues formed on the surface through storage in the hiding place chamber of the Chedi. 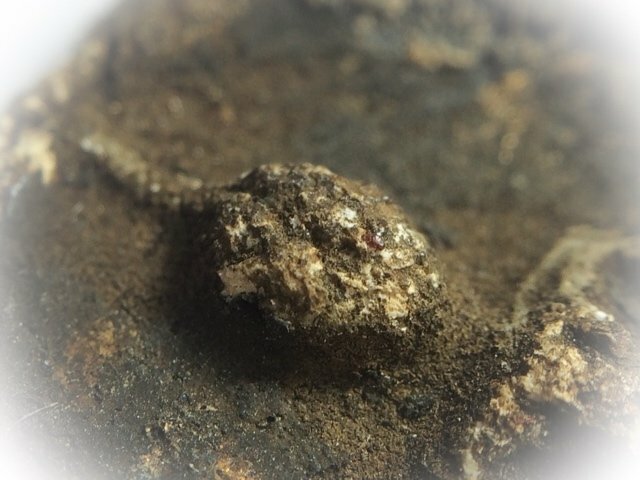 Free Silver Casing is offered with this amulet if desired. 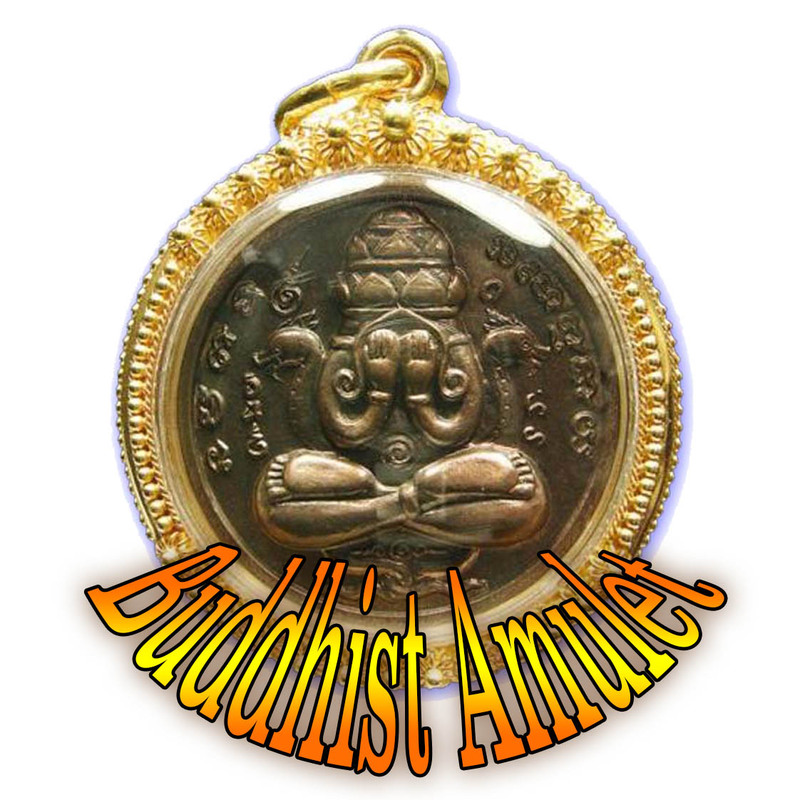 There is a famous example story which reveals how the old school method and manipulation of which amulets qualify for authenticity, was both small minded, short sighted and in many cases, completely erroneous; The story is a story which many people can tell, for it has happened many times in the past, where a devotee took an amulet to a 'Sian Pra' (established famous amulet auctioneer/speculator/buyer-seller), who would look at the amulet and say 'does not pass the test'. 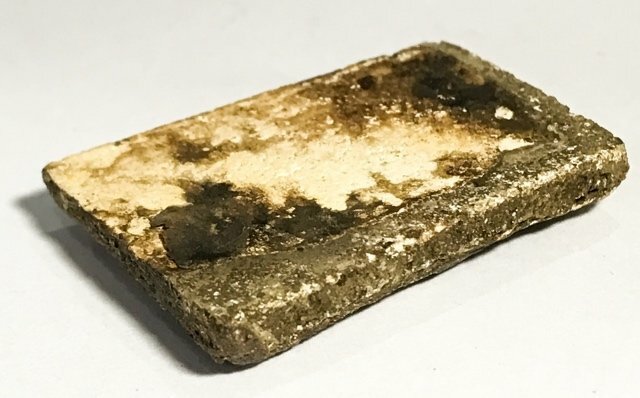 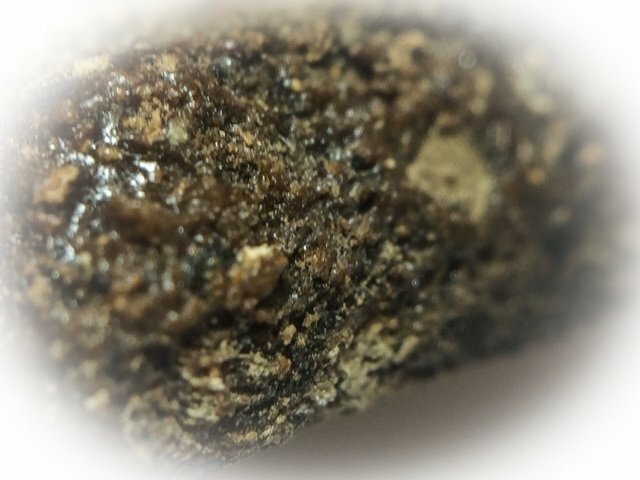 When the devotee asked the Sian Pra why, he said; 'Because the Pim' (exact design features).This old fashioned method has been guilty of overlooking the most important aspect of sacred powder amulets, namely the contents and ageing characteristics of the Muan Sarn. 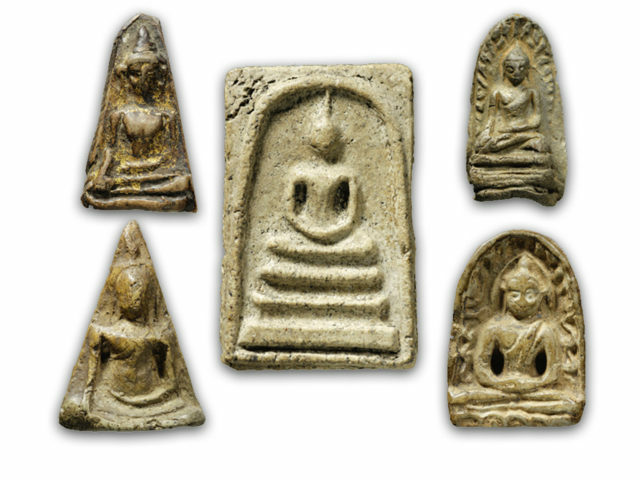 This resulted in both the Kru Wat Kanlayanamit and also the Kru Wat Sadter Sacred Pra Somdej amulets, each possessing their own inimitable appearance, which differs from the Pra Somdej Wat Rakang Kositaram, due to the long time period spent under different atmospheric conditions, with high moisture and humidity. 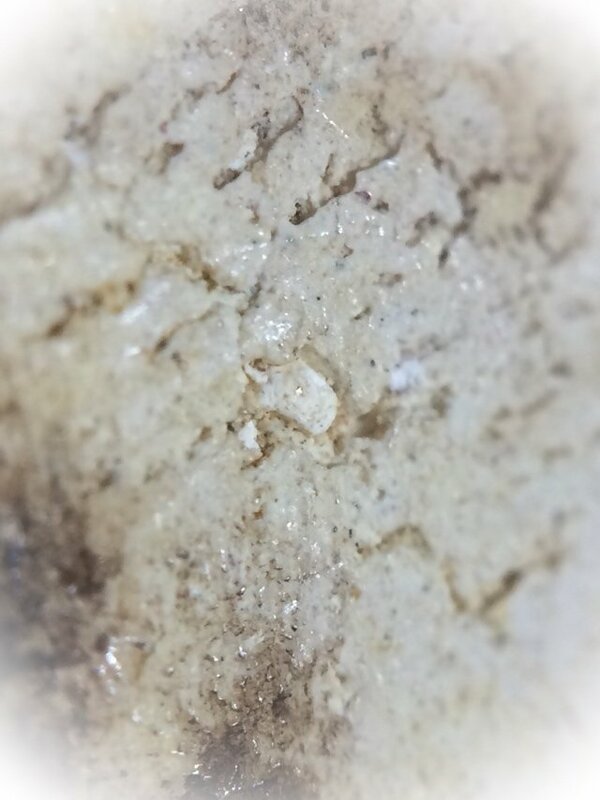 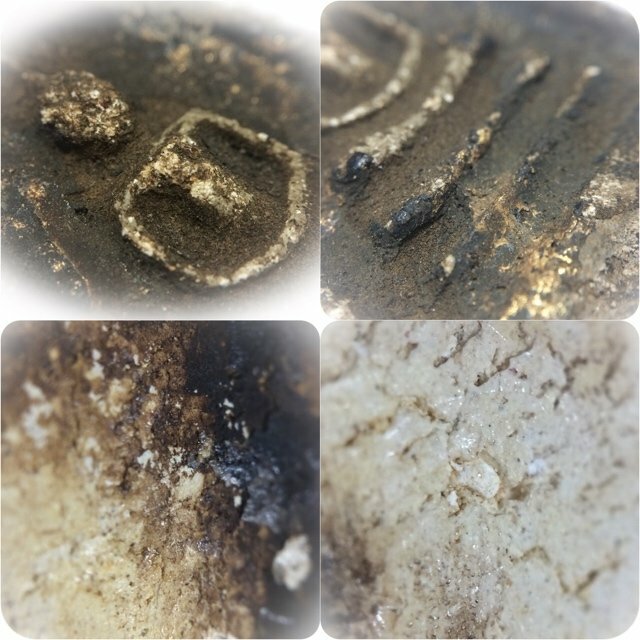 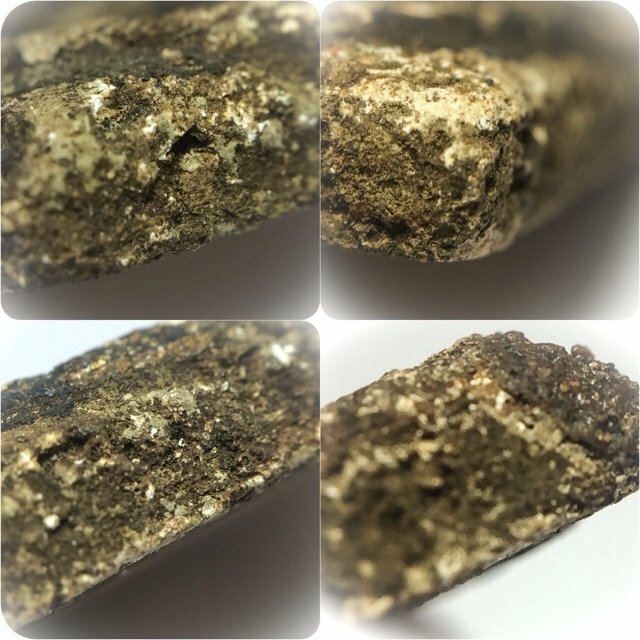 The result in both batches is a very eye catching and Sacred appearance which has only served to increase the depth of study content when examining the various features and aspects of the Muan Sarn Sacred Powders (ageing, contraction, ingredients, hardness, density, surface texture).